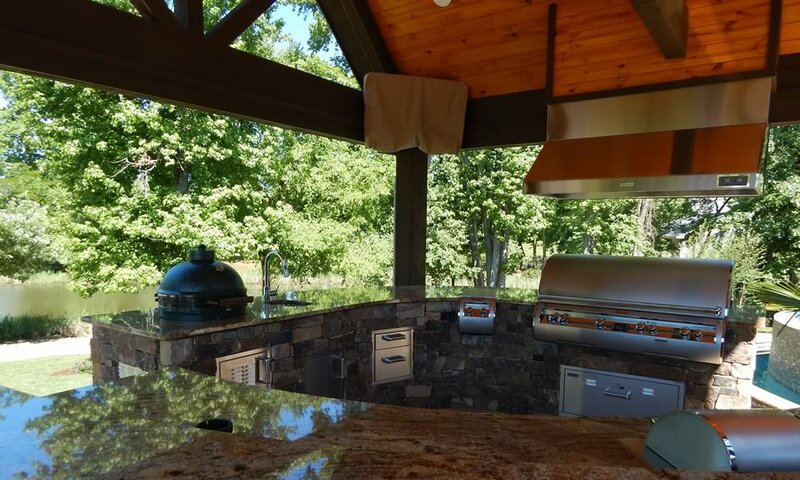 An Outdoor Kitchen can be what ever you can dream up. All it takes is a grill to cook on and place to gather with friends and family to enjoy the great outdoors. Here at Fine's we design build outdoor living rooms for small and large area. From a simple barbecue island with a single side burner too extravagant areas with the works such a ice machines, refrigerators, cocktail centers, powers burners, trash centers, warming drawers, lighting, custom islands and pergolas. We do the job from bottom to top. Take a look at some outdoor kitchens below.